Anonymous, 19 Oct 2008Working for 1 of the 3 companies involved in this phone and having the handset myself, I hope ... moreDelivery date depends on order date. I ordeded on Sep. 25th and my phones will be delivered tomorrow, Oct. 21 (according to UPS tracking info). Anonymous, 19 Oct 2008Oh sorry, forgot to say that TMobile will only support up to an 8g though.G1 has been tested and works fine with 16GB Micro SD. They've tested it with SanDisk but there is no reason why it would not run with another company's 16GB. As long as your network is GSM 850 or 900, or 1800, or 1900 and you have way to charge the phone (which will be a piece of cake w/ USB cable connected to computer or w/ car charger), you should have no issues. T-Mobile is a GSM provider and if your provider has the same type of network, you're all set. 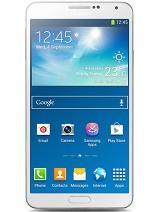 this phone does look a little cheap, "android" what the hell is that! !it has no class, no real style, and no windows os. ill wait for the htc touch hd, then htc touch hd pro if it comes out!! Just got it today and i m in love, amazing and no crashes like an iphone. 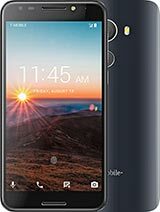 What is the difference between a UK Tmobile G1 and a USA Tmobile G1? I live in the UK and am thinking about buying one on ebay from the USA. Looks like a toy ....a cheap toy... sorry but this is unacceptable for nowaday devices to look like that i don't care what specs it has it's just ugly.I like HTC because they keep their designs nice but this is a big setback for them.Never bying this phone best wait for Touch HD. No.I work there too and they let employees order them the other week. I already got mine too. This phone rocks! Had a chance to use the phone for an hr or so. Very nice phone. Feels good in your hand, keyboard is really comfortable, and the all out design is very nice, similar feel to the sidekick without a touch screen the way its laid out. I have an iphone and am very happy with it, wouldn't trade it for the G1, but would consider it based on the design and ease of use. The app is smooth and not at all like a windows mobile phone, seems like they took the pros and cons they had with the apple app and made it their own. My only downside it the Tmobile attachment with the phone. Ive had very bad experiences with Tmobile, even back in the Voicestream days as well. 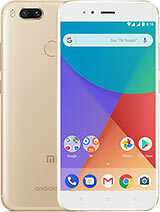 If this phone was on Sprint, Verizon or ATT it would be a great all around phone, specially at the price it is retailed for. 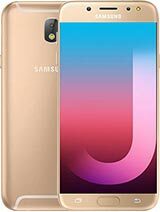 Working for 1 of the 3 companies involved in this phone and having the handset myself, I hope everyone who pre-ordered the phone is not expected to recieve it until around November 10th due to the amount of orders. Its stated on the T-Mobile web site when your placing your order. As for the phone itself it preforms very well. There are some issues with in some areas still with getting on the T-Mo 3G network but thats due to the rush to get all towns up to date for the phones arrival on the 22nd. I would expect 3G issues thru out the next few weeks as Im sure the network usage from the launch will lock up the network regularly. Other than that, the phone is very solid. Quick, responsive, easy to use. Most people will complain about the lack of some features( stereo bluetooth, video rec, exchange server etc) but the have to understand the Google and T-Mobile dont want 100 software or hardware issues on the launch date. They build a great phone which has a ton of features other phones wont have and the left the rest up to the Android Market Place. The market place is awesome, just from looking at the fun, simple little programs it will start with. Things like stereo bluetooth, flash player, video recording/playback being missing will all be temporary. The market place will launch with a basic video player(3gp only) games and lots of fun apps(example: there is a program that, if your drunk at a bar for instince, can automaticly order you a cab and send it to your location. :) ) Note: The software downloaded in the Android Market Place is not supported by T-Mobile, HTC or Google. If support is need contact the software creater. Their contact info will be availble in the market place. Other features like the Google Nav work extremely well( though Street View is only available is heavily populated areas) Keep in mind that having the GPS Location feature on all the time will murder your battery life. The camera is pretty standard but great quality for being a 3.2 MP. Sound quality is good for being an HTC device, although I still think having one large speaker directly on the back of the phone, like the Wing, is a huge design flaw. To answer the earlier question NO, there is no unlocked version as of yet. Google/T-Mobile are hoping to keep that from happening period but we'll see how long that lasts. A fun fact for you all: The phone can NOT be used or actived without a Gmail account. Anonymous, 19 Oct 2008I've heard that they've tested up to a 16g SD and it worked as well. :)Oh sorry, forgot to say that TMobile will only support up to an 8g though.